Tales of the Abyss is arguably the best game in the Tales series. It was released for the Playstation 2 just a couple years ago, but fans have been clamoring for a remake ever since. Thankfully the Nintendo 3DS has provided just the right platform to pull it off on, and it has a chance to bring the Tales series to an entirely new audience. This game has never appeared on a Nintendo platform, so while it is yet another “rerelease remake”, it’s likely something you have never played before. The game itself has been entirely remastered into 3D, as would be expected. However, the major improvements here lie in the pure performance level. The original was plagued with long loading times and constant frame rate issues. These have mostly been eliminated entirely this time around. 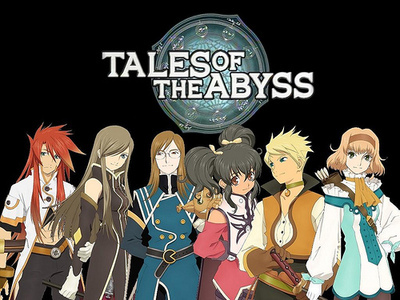 Tales of the Abyss was one of those games that came out well ahead of it’s time, so it actually still feels extremely fresh today. Most Nintendo gamers remember the battle system from Tales of Symphonia fondly, and you can smile again as that is the sort of system featured in this title, which again has been voted several times as the best in the series. We could talk all day about the improvements or go into a lot of detail about the battle system, but what really matters is what the game is all about. Keep in mind that, for those who haven’t played, everything after this point is pretty spoiler heavy. For starters we’ll let Wikipedia do the talking to introduce this epic story. 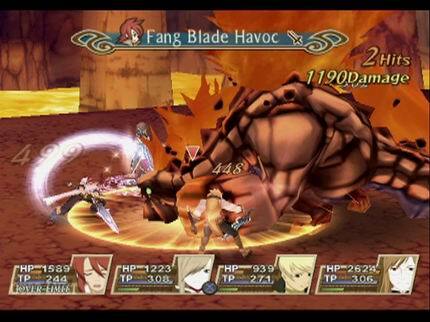 Tales of the Abyss takes place on Auldrant, a planet composed of elementary particles called Fonons. For much of Auldrant’s history, only six fonons were known to exist, representing the elements of Shadow, Earth, Wind, Water, Fire and Light; but eventually a seventh fonon, controlling Sound, is discovered. Its discovery brings great chaos: using this newest Seventh Fonon allows one to read the future. One such Seventh Fonist, Yulia Jue, an important religious figure in the game, puts in place a future for the world for thousands of years to come, with the promise of unlimited prosperity at its end. This prophecy of the future’s set path becomes known as the “Score” and is documented on “Fonstones” scattered throughout the world. The nations of Kimlasca-Lanvaldear and Malkuth have fought over the fragments of these tablets for generations, each uncovering them and hoping to discover the future before the other. Meanwhile, a holy order emerges dedicated to the reading of the Score and the keeping of the peace. This “Order of Lorelei” is headed by a Fon Master and maintains both religious/political and military branches. Finally, the Score and its promise of prosperity lead to a dangerous complacency within the general population of Auldrant; the slaughter of an entire people living on the island of Hod and the destruction of that landmass are countenanced because it was predicted in the Score. Luke Fon Fabre, the young son of Duke Fabre of the Kimlasca Kingdom is the Light of the Sacred Flame, the scion of Lorelei’s power, destined to bring prosperity to Kimlasca. Since being kidnapped seven years ago by the Malkuth Empire, he has been kept confined to the Fabre family mansion. The shock of the kidnapping has erased all of Luke’s memories prior to the event. One fateful day, a mysterious woman breaks into the mansion and sets off a chain of events that drag Luke into the center of a massive conflict between those who would do anything to see the Score carried out, and those who would see it broken forever. The game opens with Yulia Jue giving her reading of the Score, more specifically the significance of the birth of “the light of the sacred flame” (Luke). As Yulia ends her reading, the game is sent to the year ND2018, with Luke fon Fabre standing in his room, gazing up at the fonstones in the sky. As he turns to leave his room, he suddenly gets a headache, and with it, hears a mysterious voice. He had been getting these headaches since he was kidnapped seven years ago. His childhood memories were completely erased (at the time it was assumed to be amnesia) and he has had headaches ever since. As you can see, the story has a very rich connection to all of the main characters with a very nice premise focusing on the new “Sound” element. 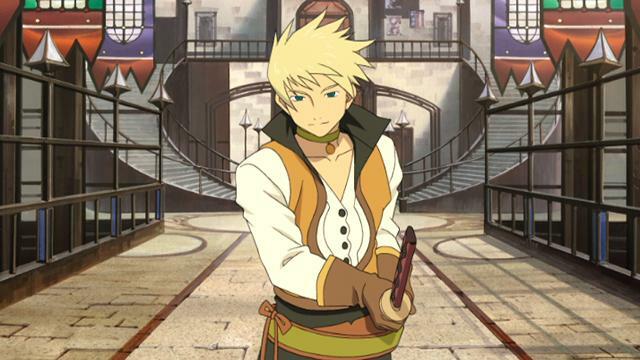 If you’ve ever played a Tales game before, you fully understand the great lengths it goes to in order to connect the player to the game world. Tales of the Abyss does this better than most of the series. In the end, if you like RPG’s and you own a 3DS, this game should really be on your Radar. There are enough improvements to pick it up if you were a fan of the original, and if you haven’t played it at all it’s too good of an experience to pass up. It’s tentatively slated for release on June 30th, but according to the latest issue of Nintendo Power no official release date for the US has been stated. It is coming though folks, so keep it on your radar.